CITES is an international agreement between governments (Parties) and its aim is to ensure that international trade in specimens of wild animals and plants does not threaten their survival. The point of this agreement is to ensure the sustainability of the resources for the future and to guarantee that there is international cooperation between countries. Although CITES is legally binding on the Parties it does not take the place of national laws. Rather it provides a framework to be respected by each Party, which has to adopt its own domestic legislation to ensure that CITES is implemented at the national level. Canada is one of 181 Parties. Roughly 5,600 species of animals and 30,000 species of plants and their products are protected by CITES against over-exploitation through international trade. They are listed in three CITES Appendices. The species are grouped in the Appendices according to how threatened they are by international trade. They include some whole groups, however, in some cases only a subspecies or geographically separate population of a species (for example the population of just one country) is listed. COSEWIC was established to provide Canadians with a single scientifically sound classification of wildlife species at risk of extinction. COSEWIC uses science, aboriginal traditional knowledge and community knowledge to thoroughly assess the potential risks on wildlife. The process is transparent and independent. 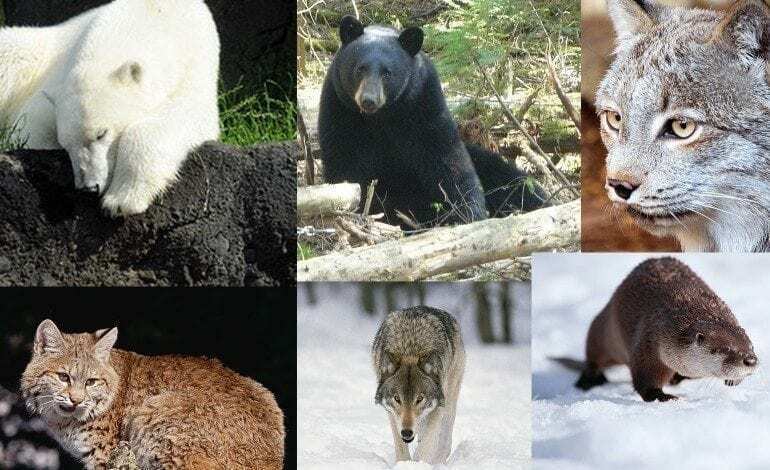 Under Canada’s Species at Risk Act (SARA), the foremost function of COSEWIC is to “assess the status of each wildlife species considered by COSEWIC to be at risk and, as part of the assessment, identify existing and potential threats to the species”. As of May 2014, COSEWIC’s assessments include 693 wildlife species in various risk categories, including 306 Endangered, 165 Threatened, 200 Special Concern, and 22 Extirpated (i.e. no longer found in the wild in Canada). In addition, 15 wildlife species have been assessed as Extinct. The Species at Risk Act (SARA) became law in 2002 and its objective is to protect species at risk in Canada. The purposes of the Species at Risk Act (SARA) are to prevent wildlife species in Canada from disappearing, to provide for the recovery of wildlife species that are extirpated (no longer exist in the wild in Canada), endangered, or threatened as a result of human activity, and to manage species of special concern to prevent them from becoming endangered or threatened. A series of measures applicable across Canada establishes how governments, organizations, and individuals in Canada work together, while others implement a species assessment process to ensure the protection and recovery of species. It uses COSEWIC as the independent body of experts which identifies and assesses wildlife species at risk. Wildlife species that have been identified by COSEWIC having been in danger may then qualify for legal protection and recovery under SARA. Some measures provide for sanctions for offences under SARA.